Vexpo, an interactive online marketplace that connects brides with curated event vendors, launches their first-annual Bridal Vexpo in Nashville. 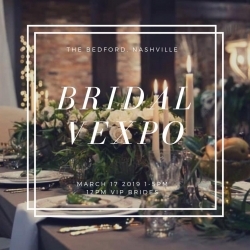 Nashville, TN, February 16, 2019 --(PR.com)-- Nashville, TN-based startup, Vexpo, is hosting Nashville’s first-ever bridal Vexpo this spring. Vexpo, a participant in the Coplex venture builder program, is the first, full-service online marketplace for brides. 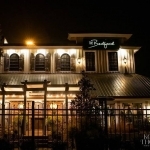 This marketplace provides consumers with an easy, fun way to find the perfect vendors to meet their wedding day needs. As experts in the event planning industry, the founders of Vexpo understand that wedding planning is time-consuming and can be very costly for brides. Finding vendors can be difficult, especially high-quality ones. Additionally, event vendors have no easy way to market their services. Vexpo solves this problem by providing an all-in-one platform that connects wedding vendors to brides and allows the brides to effortlessly plan and book every detail of their dream wedding; all while providing vendors with new, reliable clients. Vexpo decided to take their platform and turn it into a luxurious, in-person occasion to celebrate and party with Nashville's newly engaged couples. The Bridal Vexpo is a one-of-a-kind, elite wedding planning event catered to the needs of brides and the businesses that serve them. “Vexpo is dedicated to fostering the success of Tennessee’s Wedding Professionals by showcasing businesses that stand out above the rest when it comes to talent, quality, and customer relationships. Vendors can help their business stand out in the crowd by joining Tennessee’s first annual Bridal Vexpo,” said Josey Baker, Co-Founder of Vexpo. “I'm so excited to debut Vexpo at this wedding inspired event and begin introducing brides to a more simplified planning tool. We want our guests to spend the day with us building their dream wedding with an enjoyable and memorable experience; replacing the stress of planning with pampering,” said Kristen Gracin Shrimpton, Founder, and CEO of Vexpo. “We wanted to create an event, much like Vexpo, that is a place where high-quality vendors can showcase their talents without getting lost in a sea of booths. Unlike many other events or wedding sites, we prefer a carefully curated list. Like any matchmaker, we like to give peace-of-mind to both our planning couples and our vendors; ensuring that Vexpo does the work for them to create the best match,” stated Melissa Gracin, Co-Founder of Vexpo. “AMPED is proud to announce it will be providing DJ Services, lighting and special effects for the upcoming Vexpo event. We are looking forward to networking with all of the vendors and brides in the area. 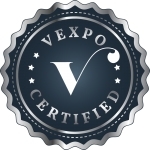 We would like to thank Vexpo and its team for choosing AMPED for this event. AMPED strives to make the biggest impression with every event we produce and we can't wait to see how this one turns out. Thank you again Vexpo team, get ready to get AMPED,” said Eric McCandless, Owner of AMPED. At this intimate event, there will be live entertainment, food, beverages, designer-themed swag bags, a grand door prize, a $500 Vexpo bouquet toss, and many more special announcements. Nashville design team, Randi Events, will be working closely with the vendors to create beautiful decor for premium wedding design inspiration. Interactive vendors include, but are not limited to, hair and makeup demos, wedding gowns, Magic Mirror Photobooth, and more. 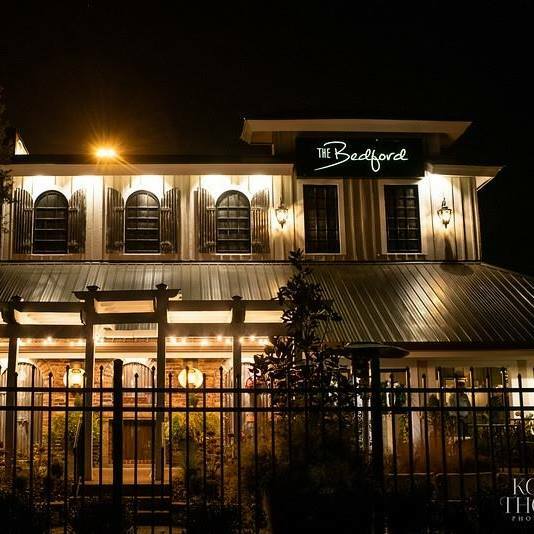 The Bridal Vexpo will make its grand debut at The Bedford on March 17th, 2019. Tickets are limited and on sale now. Please be advised that tickets will not be sold at the door. Vexpo is excited to be working closely with The Bedford, Street Tuxedo, AMPED Sound & Lighting, Morna Mae Floral & Design, Champion Ballroom, Eleven Bridal, Allstars Limousine, The Enchanted Flower Girl, The Peanut Butter Sucker, Matthew Lynn Productions, Still Frame Pictures, Bangs and Blush, Kati Edge Makeup & Hair, Magic Mirror Nashville, Ali Christine Bridal, Tiff’s Treats, and many more. Vexpo hand selects Nashville’s top wedding professionals to ensure the highest quality for the attending brides. Applications for vendors and sponsors are currently being accepted, and all who are interested are encouraged to apply. Experience the Vexpo difference and work with the highest quality wedding vendors. Every Vexpo-certified vendor meets the following criteria: Individually Vetted, Highest Quality Guaranteed, Proven Industry Experience, Positive Customer Reviews, & Responsive Communication Time.